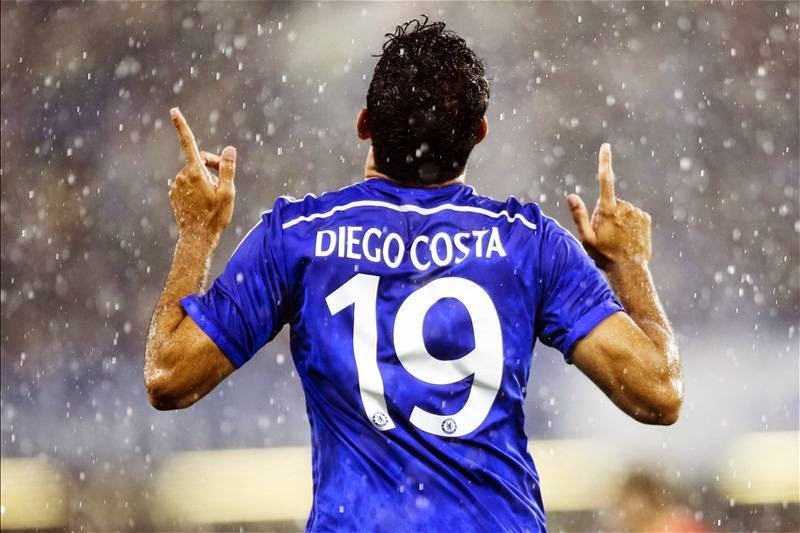 Should Chelsea FC Be Worried About Diego Costa? Every True Blue boy and girl will tell you that the biggest thing they have on their minds right now is Diego Costa and his performance with the Chelsea squad. The Spanish striker originally powered through a fantastic performance when he joined the squad at the start of the season with 11 league goals over just 12 outings for the team. However this stellar performance didn’t last as his last few outings were less than impressive leading to doubts that he’ll bounce back to his original top level performance. According to Costa he’s been suffering quite badly from a hamstring injury he incurred last season that caused him to spend four matches on the bench. Although in the defence of his star striker Jose Mourinho has said Costa is free from injury and that he’s spent time with the Chelsea physic. But whether that break has had any positive effects remains to be seen as Costa still hasn’t managed to score any goals. He even managed to go three consecutive games without a single goal. When you compare this to his original start to the season makes you wonder if he’s either having a bit of a football drought or if he’s seriously struggling to perform after recovering from his injury. Although it’s not unusual for a player of his calibre to go a few games without so much as one goal it is still slightly concerning. I wouldn’t put any money on him making a big impact on the clubs performance for the rest of the season. A safer bet would be putting you money into some casino games at least you know you would get some return from your cash if you did that. If you have no experience of these but that peaked your interest then I highly recommend checking out some comparison sites. Like www.casinojuggler.com for example, this is great for getting more detail on these games and what you can expect in them. Or check out this site and click here for more information. To bring it back to Costa, even though predicting what his future performance with the club is going to be like is a little hazy at best, it’s safe to say that as long as he gets some time on the pitch under his belt even it’s not scoring goals he might kick out of this rut that he’s in. Costa is at his best when he’s got room to run and chase of defenders or grab balls out the air, so as long as Mourinho lets him do that to some degree he should be ok, I hope!